There’s this guy I grew up with who’s like a brother to me. He’s a musician and has been writing songs for J-Pop & J Hip Hop artists. He’s got a few albums under his belt as a guitar player. Anyway, he’s been coming to the office lately to work collaboratively in a project. And he has resurrected this guitar the other day. 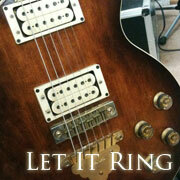 Wipe off the dust, change the strings, polish and whatever professionals do. Now, the guitar looks brand new. And it SOUNDS different. I knew for the fact, it sounds beautiful. Mellow and warm. But when a guitar is played by a good musician, it rings so much better. I was so amazed by this. Just because he says so many good things about this guitar, I’ve googled it a bit. The guitar is 1981 AR-100. It is definitely a vintage.